Camping is a wonderful outdoor activity. You have so much fun and enjoy nature’s wonders at the same time. You can camp almost throughout the entire year. Also, you can use camping to spend precious time with your friends or family, sleep under the stars and enjoy spectacular views. Camping has so many advantages they are almost too difficult to count! But what happens when your camping trip is over? Or the camping season has come to an end and you need to figure out a way to store and organize camping gear? This doesn’t sound like an easy task. 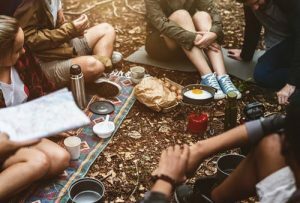 So even if you’ve stored your camping gear numerous times already, you could still use some tips. There are always more efficient ways to organize your stored items. So what can you do to improve your camping gear organization? First thing’s first – before you store and organize camping gear, you need to prepare it for storing. This means that each item needs to be thoroughly cleaned, dried and packed in an appropriate way. If you take care of your camping equipment the right way, it will last longer and remain undamaged. Make sure you dry every single part of your camping gear before packing it. Try to pay special attention to your tent, as wet and moist patches can go unnoticed. These may later cause mold and mildew. After you are certain that everything is dry, clean it from any dirt or dust. Air-out, wash and dry your sleeping bags. Remove batteries from any camping gear that requires batteries. In order to keep things as organized as possible and also to store things in the most efficient way, use camping gear for camping gear storage! You use backpacks and cooler when you go camping, right? Try using them as containers for other camping gear when storing it away. It simply doesn’t make sense to leave them empty. 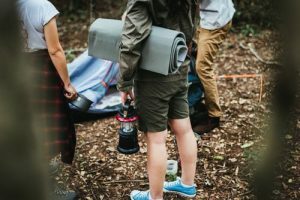 There are so many small camping items you can store inside your camping backpack – flashlights, mugs, portable chargers, etc. This hack will save you a lot of space and keep things organized at the same time. Being efficient while packing is something professionals such as long distance movers Florida use every day. And when you decide to go on your next camping trip, you’ll have all of your camping gear at the same spot. In order to store and organize camping gear in the most efficient way possible, you need to get creative. Whenever people talk about storing things and being organized at the same time, one particular thing usually comes to mind. Space bags. There are useful and a real space-saver. So why not use them when storing your camping equipment? You can use it for any part of your camping gear made out of soft fabric. They come in all shapes and sizes, so you can use them for pretty much anything that you find convenient. You can even try storing your tent inside a space bag. After you pack and organize your camping equipment, you still need to put it away somewhere. 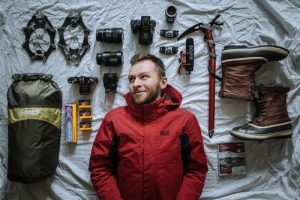 And finding a spot for your camping gear inside a small apartment can be a real problem, even for an organizational wizard. So what you ought to do is look for a storage unit. You can rent or buy a storage unit where you can keep your camping gear throughout the entire year. All you need to do is unpack it before your camping trip and simply store it away afterward. You can be sure that when using storage units Miami your camping gear will remain safe and intact. And at the same time, it will not take up precious space inside your home. 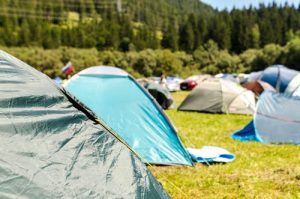 You need to store and organize camping gear in a cool and dry place and this is why using storage facilities would be perfect for your needs. If using a storage unit is not an option for you at the moment, you need to consider storing your camping equipment in your apartment. You most likely do not have a lot of space in your home for storing your camping gear. One way to use the most of your space without it affecting your everyday life is to hang stuff on the wall. Some particularly attractive piece of equipment can be used as a decorative item on your wall. And you can use a pegboard to store and organize camping gear in the most suitable way for you. Be careful when using screws and nails, make sure you try to avoid any injuries. If you have any doubts about this sort of storing idea, get back to plan A – using a storage facility. All things considered, if you want to store and organize camping gear, the only problem is that of extra space. This is why renting or buying a storage unit would be the perfect solution to your problem. But don’t worry, there are ways to organize and store your camping equipment inside your home as well. Try to be as creative as possible and make sure your camping gear is properly cleaned and packed before you store it away. Just make sure it is safely stored and easily accessible. Your next camping trip might be closer than you think!